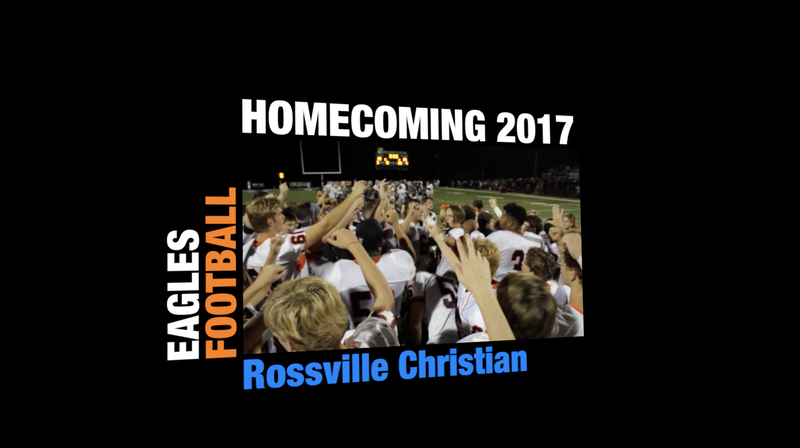 Tonight the NCS Eagles celebrate Homecoming 2017 as the varsity football team plays Rossville Christian. The presentation of the homecoming court and the crowning of the queen will take place at 6:30 pm. If you can’t make it to the game, don’t worry—you can catch all the action via the Media & Broadcasting class’s livestream which will be available through NCS’ channel on the NFHS network. Click here to watch the broadcast which will start earlier than usual at 6:25 pm. Tonight’s broadcast will feature commentary and analysis by the always-entertaining duo of Coach Brandon Wood and Coach Kevin Quinn. The camera work will be by junior Dominic Stephens and the director for the night is junior Will Taylor.